With a contemporary look, the Business Class Two Queen rooms are meticulously planned for a comfortable stay. 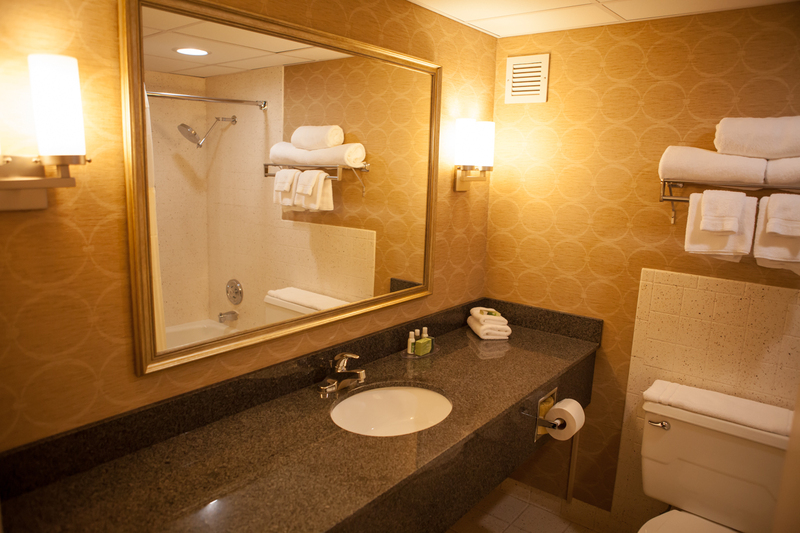 These upscale guest rooms feature plush top mattresses, and a stylish bathroom with granite countertops. Enjoy the oversized desk, complimentary wireless Internet access and a dual line phone with speaker and voice mail capabilities. Relax and enjoy comfortable seating while watching your favorite shows on the LED flat screen TV. With a contemporary look, the Business Class King rooms are meticulously planned for a comfortable stay. These upscale guest rooms feature a plush top mattress, stylish bathroom with granite countertops, microwave and a refrigerator. Enjoy the oversized desk, complimentary wireless Internet access and a dual line phone with speaker and voice mail capabilities. Relax and enjoy comfortable seating while watching your favorite shows on the LED flat screen TV.